Janowski suggested join.me, which is a screen sharing and meeting app that I like because their service embodies what blogger Om Malik refers to as “Ruthless Simplicity”. There is no software to download or plug-in to install for your participants. They just enter the meeting number and click the join button. That’s it. Even your techno-phobic clients should be able to handle it! 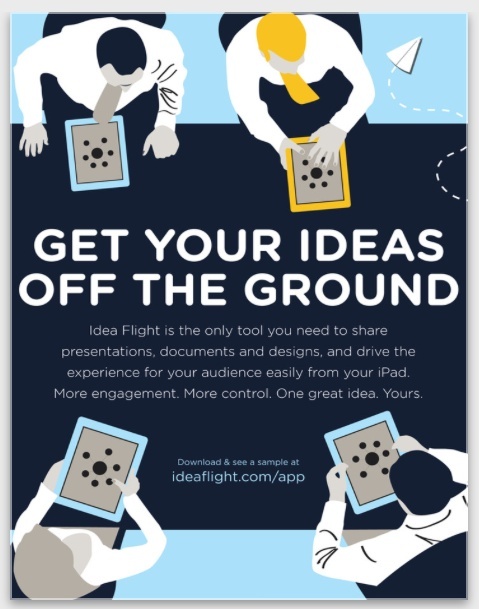 Join.me offers a free version that supports up to 10 participants with basic sharing functions, while the pro version ($149 a year or $19 per month) supports up to 250 participants and adds features such as switching presenters, meeting scheduling and live annotation. Both versions support starting and viewing on an iPad with all features available, no desktop computer required at all. One great feature of join.me that is provided by more expensive competitors, but will soon become commonplace, is unified audio. This allows participants to call into your meeting using their computer’s audio and microphone (similar to how Skype works). The service is built into join.me and doesn’t require any external software. Join.me offers a no-strings, free 21-day trial of their pro version. What I mean by no-strings is that they don’t take your credit card number and then automatically charge you on day 22. I appreciate their laid back approach as does my credit card company, who won’t have to take my calls about canceling another service that auto-glommed onto my card. Another of Winterberg’s selections was Fuze Meeting from a company called Fuzebox. 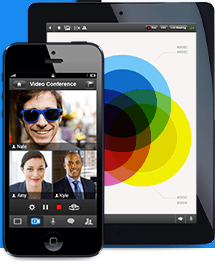 This service can compete directly with established services like Webex and GoToMeeting since they offer a more robust feature set including HD video conferencing streams, toll-free numbers and meeting recordings. They also offer cloud storage for sharing files and even an app for iPhones and Androids. Fuze Meeting has a 14-day free trial, but there is no totally free version, only three paid ones: Fuze Share $180 annually, Fuze Pro $588 annually and Fuze Business $828 annually. The Share version is only for screen sharing and doesn’t include HD video. They’ve structured the packages to push you into the most expensive option, so be ready to open your wallet if you want better service. I would recommend using join.me if you only need to share your screen or documents and Fuze Meeting if you want to include video conferencing. Will moving to an entirely cloud-based office reduce costs? You have to make the full transition and move everything into the cloud in order to see the financial benefits, Bruckenstein asserted. But scale is also an important factor. For example, using a three-to-five year projection, it would actually be marginally more expensive for a firm with 80 employees to replace their in-house Microsoft Exchange Server with a cloud-based system. Of course, there are intangible benefits from moving to the cloud. But it’s when you go above the 101 user threshold that you would start to realize a much greater level of savings due to the cloud’s elasticity for growth, he stated. Cost shouldn’t be the primary factor in your decision to move to the cloud, Bruckenstein warned. Disaster recovery, network redundancy, better maintenance of hardware and software, and much better security, usually including hardened buildings and physical plant that can withstand natural disasters. These benefits make it worthwhile to make the move even if you have to pay a small premium, he advised. The RIA industry is still relatively small when compared to other verticals, Janowski explained, so the fixed costs for your vendors will be high. Then add in regulatory compliance costs and you’re going to pay more than if you were in a different business. However, the fixed costs will go down over time as the industry grows, he said. Cloud-based solutions should be considered premium products as opposed to cost savers since they deliver flexibility, mobility and agility, Winterberg proposed. Instead of focusing on the bottom line, look at the benefits cloud-based offerings provide to your clients, he advised. What about the risk of some of these new providers going out of business? What happens to my data? Janowski warned that you need to do your due diligence before signing contract with a cloud-based service provider. Their contract should state that you can get direct access to your data or have it copied to a DVD or other media in case the company goes bankrupt. Social media (such as LinkedIn or a new one targeted at financial advisors called Finect) is a great way to leverage your peers to investigate firms and get recommendations, he suggested. Some vendors are adding ancillary services such as syncing your data to cloud-based storage, Winterberg said. Carbonite is an online backup provider that has arrangements with CRM, Financial Planning, Portfolio Management and other vendors and can make backups of your data on a daily basis. This acts as your insurance policy in case your vendor goes belly up, he said. Many small to medium-sized companies want to reduce their risk and outsource their own infrastructure to large hosting firms. For example, Laser App has announced that the new mobile version of their system, Laser App Anywhere, will be hosted at RackSpace. Do you see more consolidation of technology vendors coming soon? Or will it become more fragmented? We’ve certainly seen our share of consolidation in the past year with EnvestNet buying Tamarac and Advent acquiring BlackDiamond. Janowski predicted that we’ll see both consolidation and fragmentation. One example that has the potential to be disruptive is cloudRIA. It provide an umbrella for many applications and their goal it to be the single point of entry for everything an advisor needs to do online. Its model of integrating everything under one roof overlaps with platforms being built out by all four major custodians, such as Veo at TD Ameritrade. If it works, it could appeal to many advisors. Although, there will always be a subset of advisors who value their independence and want to remain independent and use independent apps, he observed. Since no one knows what’s going to happen, you shouldn’t get locked into any single provider, Winterberg warned. Take advantage of the agility of the cloud to stay nimble and be prepared to switch if necessary, he said. As is the case with most other industries, ours experiences a life cycle of consolidation, Bruckenstein proposed. Firms that manage to gain scale and market share buy up smaller competitors and the market consolidates and this leads to dominance by a few. These companies inevitably become lazy and unable to focus on niches that open so disruptive startups fill the gaps. They gain market share and become large companies themselves and then the cycle begins all over again, he said. 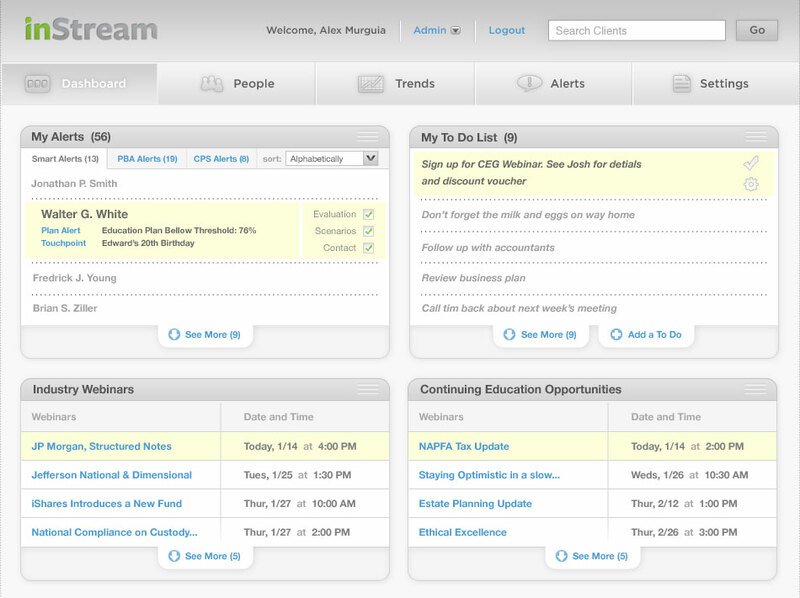 inStream Solutions is a company that will be disruptive in a number of ways, Janowski pointed out. Their business model, which can give access to their financial planning software away for free by taking a piece of the investment or other products that are purchased through their system. Their monitoring methodology that runs monte carlo simulations on client’s portfolios every night in order to alert advisors to any changes that might affect their probability of reaching their goals. And finally, their use of crowd-sourcing that aggregates decisions made across their client base to identify advice trends could become the de-facto best practices guide for the industry. What recommendations do you have for personal virtual private network services? A Virtual Private Network (VPN) allows you to connect your computer to your office network over the Internet in a secure manner. It can hide all of your data and prevent anyone from seeing what you’re doing online, which is especially useful when connected to a public WiFi. It also stops websites from tracking your location by routing your connection through one of a dozen or more different servers, which allows you to bypass geographic restrictions, since you appear to be located wherever the server is that’s routing your data. B ruckenstein recommended Norton HotSpot Privacy, which has the benefits of being from a brand name technology company, supports both Mac and PC and you can be shared on up to five devices, which includes iPads and iPhones. The downside is there is no free version and users report that the application takes up a lot of screen space. The cost is $50 per year, but if you only need to connect back to the office occasionally, they offer a “One-Day” pass for $2.99. 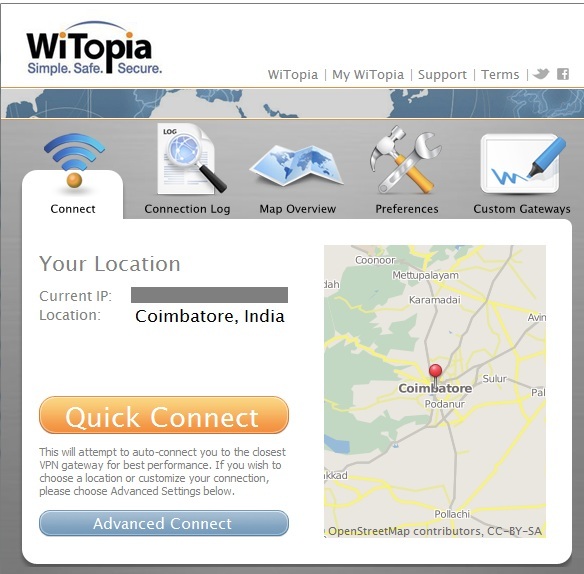 Witopia VPN is a product recommended by Winterberg. It offers 32 connection servers around the world and makes it easy to switch between them. This is important because you’ll see better performance if you select a server that is nearby as opposed to one on the other side of the world. They also supports a wide range of operating systems and hardware including both Mac and PC, iOS, Android and even Windows Mobile. While the company is not as well known as Norton, they have made a name for themselves with their ease of use, consistently speedy service and 24x7x365 tech support via chat. It also costs $50 per year. 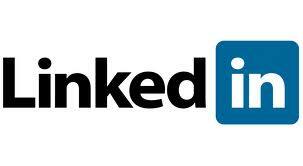 How can LinkedIn be leveraged when prospecting for new clients? Janowski related a story told to him about how a creative way to utilize LinkedIn connections for prospecting. The advisor hired a summer intern who went through his high school and college alumni lists and connected to them through LinkedIn. After touching base with them and simply letting them know he was a financial advisor, he received a number of unsolicited referrals. He also used some of the search features to explore connections and the results half a dozen or so new clients. The data mining capabilities that are available through the premium services are quite powerful, if you spend a little time learning how to use them. For example, you can search for doctors in your local area who are second level connections to you and then request an introduction. You can also perform a “money in motion” search, by querying for any connection who is a VP or higher and has switched jobs in the past 90 days. These tools can open up tremendous opportunities for located potential clients and can really energize your practice. LinkedIn offers three levels of premium services with price points of $20/month, $40/month or $75/month. The more expensive packages offer more profiles returned by searches, more search alerts (when new profiles meet your search criteria) and more direct messages to LinkedIn members outside your network. Great aricle, I missed this session and it was a very helpful recap. Going to try joinme today!